ClimaRice is a project supported by the Ministry of Foreign Affairs, Norway, through the Royal Norwegian Embassy, New Delhi. Climate change is likely to influence agriculture and water sectors and eventually food security and livelihoods of a large section of the rural population in developing countries. Extreme weather events such as droughts, floods, heat waves and changes in the monsoon rains are already affecting agricultural production in India and farmers are struggling to adapt and sustain their livelihoods due to these changes. The ClimaRice project is testing and validating selected technologies on farmer's fields in India, in close co-operation with farmers and local agencies. The project follows a multidisciplinary approach, integrating natural and social sciences and bringing science closer to policy makers to enable them to frame suitable policies to adapt to climate change and extreme weather events. The main emphasis of the ClimaRice project is to develop local ownership through active participation of stakeholders in the design, implementation, and management of adaptation strategies to ensure the sustainability of rice production. Reduce uncertainties in future monsoon projections, demonstrate the applicability of selected adaptation techniques and enhance stakeholder adaptive capacity to climate change on rice production and irrigation water management practices through field demonstration, institutional and capacity strengthening. To standardize methodologies that could be up scaled to other areas impacted by climate change. ClimaRice consists of two study areas located in the Cauvery River Basin, Tamil Nadu, and Krishna River Basin, Andhra Pradesh, in India. The study area is located in the lower part of the Cauvery river basin, Tamil Nadu, India. The region experiences rainfall during both the summer southwest (June through September) and early winter northeast monsoons (October through December), with the peak rainfall during the north-east monsoon season. The study area is located in the lower part of the Krishna river basin, Andhra Pradesh, India. It is the fourth largest river basin in India in terms of annual discharge and the fifth largest in terms of surface area. It broadly covers the states of Karnataka, Andhra Pradesh and Maharashtra. Lakshmanan, A., Geethalakshmi, V., Nagothu, U.S., Gurusamy, L. & Muthu, V. 2012. ClimaRice Newsletter 04: Testing climate uncertainties and validating selected technologies on farmers fields (2010-2012) (Briefs). Available at: http://hdl.handle.net/11250/2459242. ClimaRice Technical brief, (17) 2013. 5 p.
Rafoss, T., Shah, S.E., Kennedy, J.S., Lakshmanan, A., Geethalakshmi, V. & Nagothu, U.S. 2013. 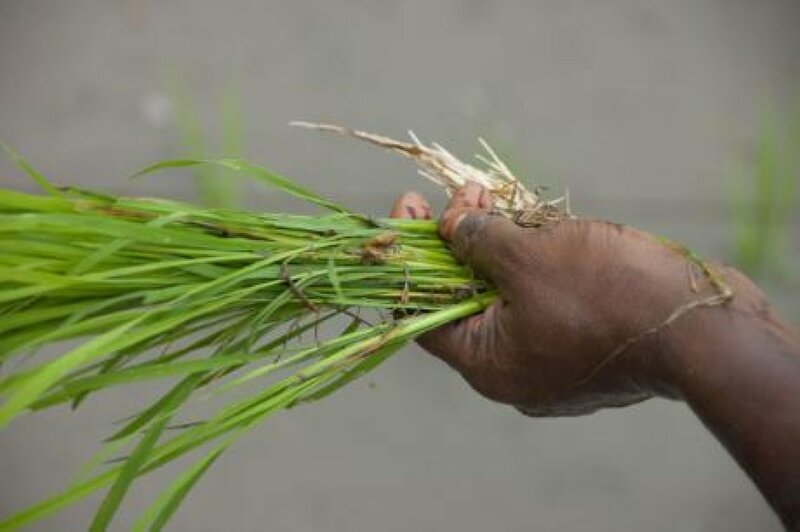 Climate Adaptation and Mitigation through ICT Innovation - Exploring Potentials for Forecasting Pest and Disease Risks in Rice. ClimaRice Technical brief (17). 5 p. Bioforsk. Available at: http://hdl.handle.net/11250/2459235. ClimaRice Technical brief, (1) 2010. 4 p.
Øvstegård, R. 2010. 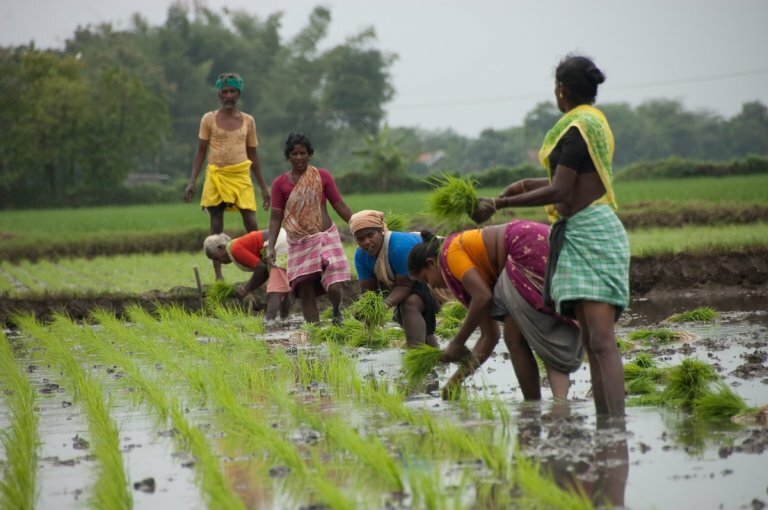 Gender Analysis - Gender and climate change adaptation in agriculture. ClimaRice Technical brief (1). 4 p. Bioforsk. Gender analysis is an important component of the Climarice project in order to better understand the ways in which women and men are differently affected by climate change and how they are adapting. During the current year, a preliminary analysis has been carried out on gender issues. This will be followed by a detailed study in 2011 in selected areas in Andhra Pradesh and Tamil Nadu. The expected outputs will provide more detailed analysis on gender differences and a better understanding of men and women’s vulnerabilities to climate change and clarify the special needs of men and women to adapt. The overall goal is to contribute towards developing appropriate strategies and policy to address gender issues in climate change.